The Advox Netizen Report offers an international snapshot of challenges, victories, and emerging trends in technology and human rights around the world. This report covers news and events from February 29 – March 8. The draft regulation demands more aggressive deletion of “terrorist content” (which remains vaguely defined) and quick turnaround times on its removal. But it does not establish a special court or other judicial mechanisms that can offer guidance to companies struggling to assess complex online content. Instead, it would force hosting service providers to use automated tools to prevent the dissemination of “terrorist content” online. This would require companies to use the kind of system that YouTube has already put into place voluntarily, which has been known to censor documentation of human rights violations and war crimes. 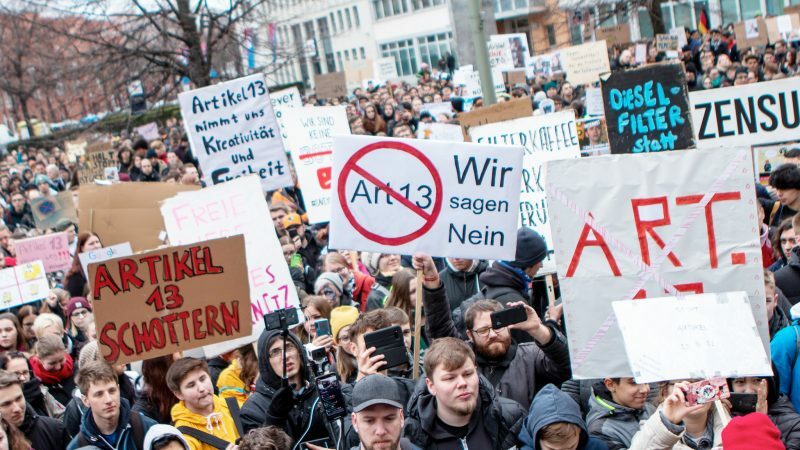 Both this EU proposal and the Copyright Directive put a lot of faith in these tools, showing little concern for the consequences they may carry for free expression, journalism, and public information. We see as inevitable a situation in which there is a filter for copyrighted content, a filter for allegedly terrorist content, a filter for possibly sexually explicit content, one for suspected hate speech and so on, creating a digital information ecosystem in which everything we say, even everything we try to say, is monitored. Dozens of human rights activists and journalists in Egypt have suffered phishing attacks since the beginning of this year, an investigation by Amnesty International has found. The emails used a technique called OAuth Phishing, which relies on malicious third-party applications that deceive the user into granting access to their accounts. The attacks coincided with a number of political events, including French President Emmanuel Macron’s visit, and happened amid President al-Sisi’s intensifying crackdown on civil society. After more than five years in jail, Mahmoud Abu Zeid, also known as Shawkan, was released from prison in Egypt on March 4. Shawkan was detained in August 2013 as he was photographing the Rabaa El Adaweya sit-in, in which supporters of former Egyptian president Mohamed Morsi gathered to protest a military coup that ended his presidency on July 3 that same year. Egyptian security forces dispersed the sit-in and killed at least 817 people and injured many more, according to Human Rights Watch. Shawkan, who was working for Demotix at the time of his arrest, spent almost four years in pre-trial detention before his sentencing. Also on March 4, in Algeria, a Skikda court reduced the prison sentence of blogger Merzoug Touati and set him free. Touati has been in jail since January 2017 for reporting on anti-austerity protests. He was sentenced to ten years in jail in May 2018, after he was found guilty of providing “intelligence to agents of a foreign power likely to harm Algeria's military or diplomatic position or its essential economic interests,” for conducting and posting online an interview with an Israeli official. His release comes amid an ongoing protest movement in the country. Since mid-February, Algerians have been demonstrating in the streets, protesting the country’s economic decline and demanding that Algerian President Abdelaziz Bouteflika withdraws from upcoming national elections. Digital activist Sharofiddin Gadoev is back in Europe again, after being abducted to Tajikistan, seemingly with the cooperation of security officials in Russia, where he traveled to last month. A member of Tajikistan’s digitally active, perennially harassed foreign-based opposition, Gadoev appeared in a bizarre video on February 15 stating that he had arrived in Tajikistan of his own free will and was cooperating with authorities. When diplomats from the Netherlands – where Gadoev has asylum status – inquired about the activist’s well-being, Tajikistan’s officials confirmed he had been arrested for unspecified crimes. Luckily, however, Gadoev had previously made another video in which he asked supporters to disregard anything he might say in the event that he was forcibly extradited to Tajikistan, confirming that he had had no plans to travel there. The release of this eerily prescient video on February 19, combined with pressure from Western diplomats and international rights organizations, appeared to prompt his release on March 2 by Tajik authorities – as dramatic and unexpected as his capture. Many of the lies were directed and weren’t innocent slip-ups in the fog of war but efforts to discredit the enemy, to boost nationalistic pride, to shame anyone who failed to toe a jingoistic line. The lies fit a pattern, clamoring for war, and on both sides they suggested a society that had slipped the bonds of rationality and fallen completely to the post-fact order. Tanzanian authorities placed independently-owned newspaper and news site The Citizen under a seven-day suspension on February 27, alleging that the outlet had violated prohibitions on publishing false information and statistics. The allegation stemmed from a February 23 story about the falling value of the Tanzanian shilling. The Committee to Protect Journalists, International Federation of Journalists, and the Federation of African Journalists all condemned the suspension. Rights organizations are petitioning to stop the rollout of Kenya's new national digital ID register, arguing it violates Kenyans rights to privacy, equality, non-discrimination, and public participation. The National Integrated Identity Management System (NIIMS) merges several different registers, including those that collect information about births and deaths, immigration status, passport details, and driving history. It also gives the government the authority to collect the GPS location of a person's home, and biometric data such as DNA. The law makes no provisions for the protection of all this data. A law introduced in Ecuador's legislature would penalize internet users for sharing “false” information on social media. In addition, the Law on the Responsible Use of Social Networks would allow victims of “abusive publications” — defined as posts that use information from someone's profile without permission or that damage a person's honor, dignity, good name or privacy — to file legal complaints against their author. On a better note, the law would also require any individuals or companies that want to capture and store personal data to get users’ permission first. Afef Abrougui, Ellery Roberts Biddle, L. Finch, Talal Raza, Chris Rickleton and Taisa Sganzerla contributed to this report.